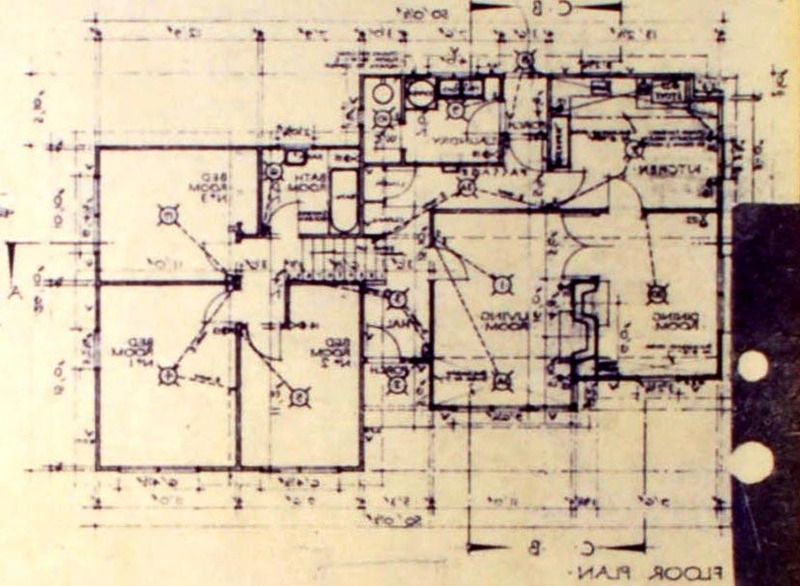 This house plan was reversed as no other available. Initially had an outhouse (with night pan); used to love going into the bush over the road; parents would have working bees in our garage building scenery for the local drama group - Yallourn Little Theatre. In 1952 moved to 21 Reservoir Rd and family lived there till 1974. It was Graeme Black, not sure of Mrs Blacks name though. The plan is now correct for No 10 Allambee Cres. This plan is incorrect for No.10. The House at No. 10 was the MIRROR of the plan shown, rotated about the Section A axis. i.e. the kitchen at the bottom and the front door at the top. At No. 10 The Blacks were there after the Nordens - ? and ? , with daughter Wendy. At No. 8 - after Lansells were the McDonalds - Bob, Babs, son Robert and daughter Margaret. No. 12 was usually occupied by hospital staff - Ryle was Dr Ryle, then Cadwallada, then Reg Water (Radiologist), with children Pam?, Paul, and twins Jackie and Cecily.